Another successful Garden Centre Association (GCA) conference and awards dinner saw staff from garden centres across the country celebrating, as they were named best in class and recognised for stand-out customer service, catering excellence, and catering and innovation. 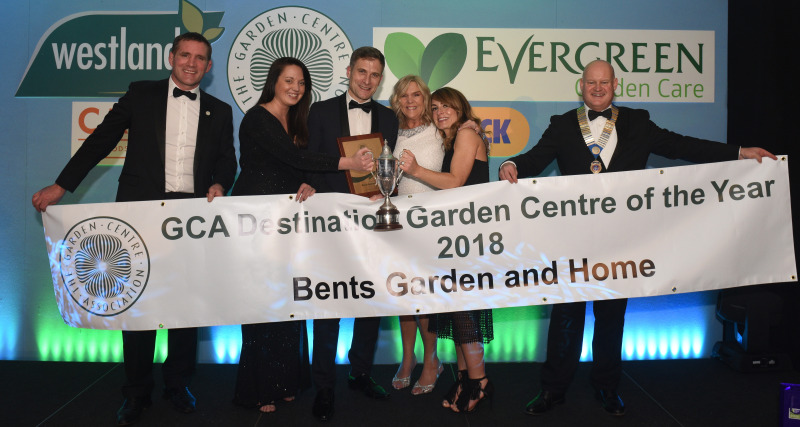 Bents Garden & Home - last year's DIY WeekAwards Retailer of the Year - had a fantastic conference, bagging two awards, plus the coveted title of GCA Destination Garden Centre of the Year. Meanwhile, The Old Railway Line – another past winner at the DIY Week Awards – was named Garden Centre of the Year. The awards were presented over the course of the GCA’s annual conference, which ran Monday, January 21-Tuesday, January 22 at Luton Hoo Hotel; culminating in its awards dinner on the Tuesday evening. The conference boasted a fantastic line-up of speakers, including retail consultant John Stanley, Ecochamber’s Matthew Brown, broadcaster and journalist Tanya Beckett, and rugby legend Sir Clive Woodward. Read a full report on the conference in the February 8 issue of DIY Week. During proceedings the GCA also revealed its 10 Garden Centres of Excellence, along with other awards presented during a ceremony hosted by rugby ace and Celebrity Masterchef winner Phil Vickery. Stewarts Garden Centre – Christchurch. The Worrall Cup (award for Best marketing campaign or initiative) - Haskins Garden Centre for its ‘Big Reindeer Giveaway’.